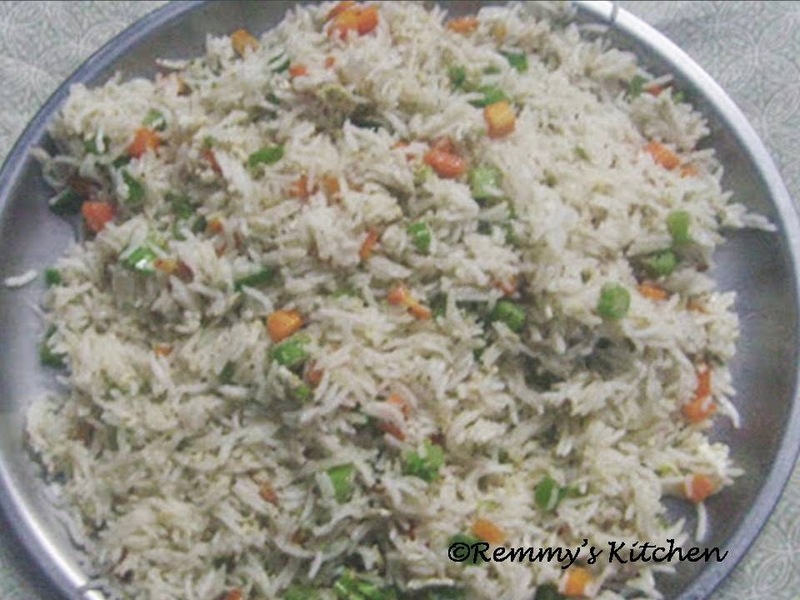 Soak basmathi rice for 15 minutes and drain it. Heat a pan and add oil then fry chopped garlic followed by all the vegitables except spring onion. wait for a minute then add cooled rice and mix it well. I love fried rice too! Totally yum!